Whether you run a bustling coffeehouse or just want reliable espresso accessories for your high-end home brewer, Rattleware makes products that make espresso brewing simpler and more professional. From durable frothing pitchers to simple espresso tampers, Rattleware makes extras that complement your commercial or residential brewing station. 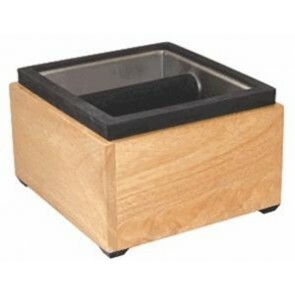 Seattle Coffee Gear is happy to offer an awesome assortment of Rattleware products, including espresso spoons, thermometers, grinder trays, tampers, knock boxes and tamping mats. These products are made with smart and easy-clean materials like rubber and stainless steel. Perhaps one of the most popular categories in this lineup is the Rattleware thermometer collection. These thermometers — including easy-to-use steam milk frothing thermometers and digital brew head thermometers — help you nail one of the most important aspects of espresso serving: temperature. Awesome features like waterproof components and automatic shutoff ensure that Rattleware thermometers stay in the game for year after year of reliable brewing. The company also makes frothing pitchers with integrated thermometer clips so that you can constantly monitor your steamed milk temperature. 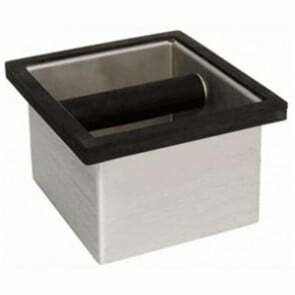 Many of our coffeehouse clients trust Rattleware knock boxes that let you knock out your espresso pucks in style. 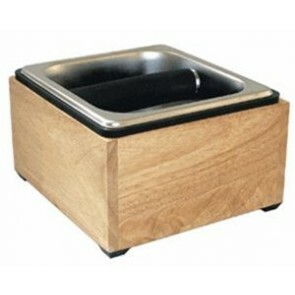 Featuring non-treated wood or easy-to-clean stainless steel, these espresso knock boxes fit into any residential or commercial kitchen with ease. Not only that, but Rattleware produces a range of espresso shot pitchers, milk frothing pitchers and other serving and mixing staples that you can use to whip up quality coffee drinks like the pros. At Seattle Coffee Gear, we’re committed to providing great espresso tools and accessories that suit your budget, style and personal preferences.